Hollywood’s biggest night is going without a host this year, but YOU don’t have to! FilmScene hosts a party for the people, with blue carpet, giveaways, drink specials and prediction prizes in celebration of the year in movies! Hollywood’s biggest night is going without a host this year, but YOU don’t have to! FilmScene hosts—and you’re invited—to our annual big screen celebration of the year in movies and this year, we're bucking the establishment and opening the doors to all, free of charge! Walk down the blue carpet, predict the winners, compete for prizes, maybe snag some giveaways, snack on bottomless Iowa popcorn and sip on delicious movie-inspired drinks. It’s the movies' biggest night of the year and FilmScene staff wants to celebrate with you, our favorite moviegoers. You can still come dressed in your finest, or get your pajamas on early, to share the evening with fellow film lovers. We’ll be broadcasting live on both screens and in the lobby! 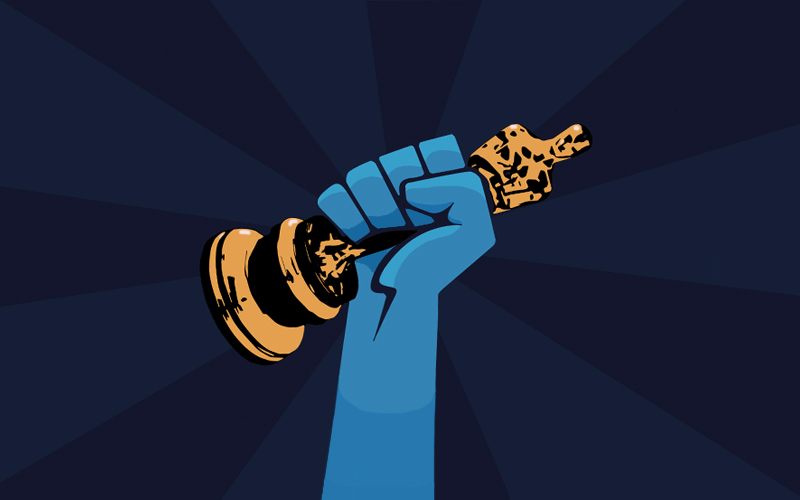 Raise your voice, between now and awards night, because we'll be announcing the winners of our annual Foscars awards and tallying the scorecards leading up to the Best Picture finale. FREE admission. It may be a night of gold and diamonds in Hollywood, but here at FilmScene its a party for the people. We invite you to support your local nonprofit cinema by sipping on a delicious selection of Iowa craft beers, tasty wines and movie inspired specialty drinks. Please RSVP in advance to be eligible for giveaways! Start the excitement now with this year's hashtag: #BlueCarpetBash. Join our live tweet and share your blue carpet photos on awards night. The festivities begin at 5:30pm when doors are opened. Take a selfie on the blue carpet, get to work on those ballots, visit the bar and get a good deal on some tasty treats. The Academy Awards preshow starts at 5:30pm, and the awards start at 7:00pm.